Reminiscent of the significant spiritual and social themes of Sinclair Lewis, Andrew Greeley, and James Carroll, Robert Fleming’s bold new novel will keep readers riveted. Following their Alabama adventure, Reverend Clint and Adele are finally settling down in Harlem. 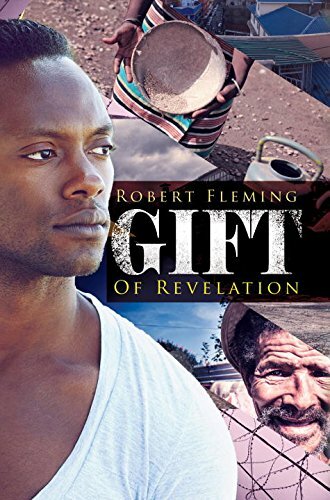 Adele, a former schoolteacher, explores the city, various tourist sites, and meets Reverend Evan Dye, a young missionary just back from Congo. She is intrigued with the need for volunteers in this bloody war, and discusses a possible trip there with Reverend Dye and his wife, Francine. Meanwhile, Reverend Clint encounters an African refugee family that is staying with Reverend Dye. Their stories of suffering and pain tug at his soul and Christian compassion. Before the reverend realizes what is going on, Adele volunteers to go to the Congo with Reverend Dye’s next tour. Reverend Clint follows her on this unforgettable journey of discovery and revelation into the region’s jungles, crocodile-infested waters, and violent skirmishes. As Adele plunges into this hell, she wants Reverend Clint to make a commitment to her. She wants something solid. Will it be the Congo adventure that will allow their admiration for each other to blossom into a full love? Or will the Congo with its violence, corruption, rebels, mercenaries, extremists, politicians, do-good foreign doctors, and refugees prevent them from embracing love?